See the light as it disappears. Feel the sand, Challenge the surf. 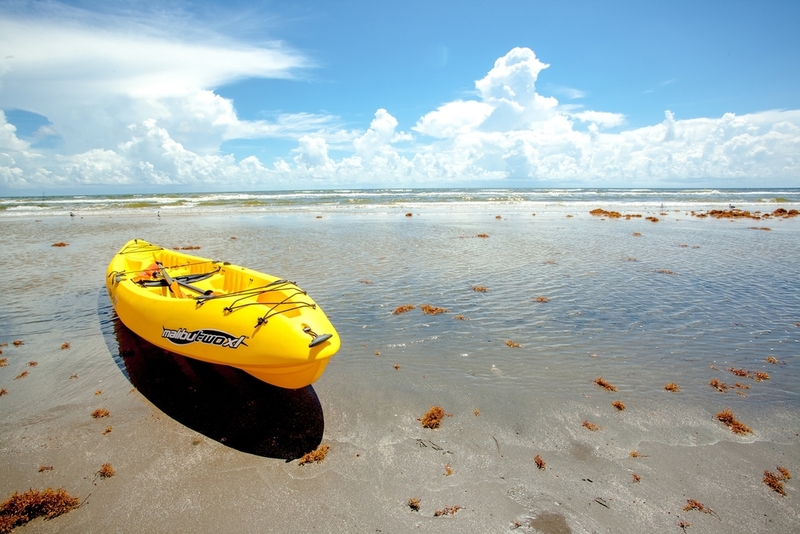 Make a discovery on the texas gulf coast. Your New Vacation Home Awaits. Seahorse. A Whole New Wave For Texas. Seahorse offers two pathways to ownership. Build or buy the single family beach home of your dreams on one of our oceanfront or bayfront lots. View current home and lot availability and learn what makes each unique. Seahorse Beach is located on a peninsula named Follet’s Island that is located six miles northeast of Surfside Beach heading towards Galveston. Our beach is accreting — meaning that the powdery sand that swimmers, beachcombers, and shell-collectors love so much is naturally expanding, rather than eroding. Studies of shoreline-change along segments of the Texas Gulf Coast show that sand eroded from other parts of the Gulf is actually being deposited in places like the beach at Seahorse — so as we watch the beach at Seahorse widen, it becomes more spectacular with time. Our beach is a sanctuary on the Texas Gulf Coast. There is no traffic, just the beauty of a quiet beach open to how you want to enjoy it. It is a retreat for recreational sportsmen, sun-worshipers, nature-lovers, and Gulf adventurers. Opposite the Gulf is the Drum Bay Preserve, offering peaceful and productive recreational pleasures. This bay is expansive and draws you immediately in to explore it through kayaking, fishing and birding. We are a stop on the Great Texas Coastal Birding Trail named “The Bluewater Loop” and are directly in the path of the astonishing migratory birdlife of the celebrated Brazoria National Wildlife Refuge. Seahorse rests on a special piece of Texas Gulf Coast history. One of the breathtakingly scenic Texas barrier islands, Follet’s Island is actually a peninsula six miles northeast of the town of Surfside heading towards Galveston. Named for a family of early settlers in the area, Follet’s Island is bordered by the Gulf of Mexico to the east, and by Christmas Bay to the west. This beach and bay has for generations been a favored destination of sun- and surf-seekers, kayakers, dolphin-watchers, fishermen, and nature lovers. This peninsula is well-known as a birdwatcher’s paradise, with its’ populations of great-tailed grackle, red-winged blackbirds, brown pelicans, night heron, snowy egret, gulls, and terns. It is this exquisite and unspoiled natural environment — much of it protected in perpetuity — in which we’ve created Seahorse. Traveling to Seahorse from Houston, go south on Highway 288 through Lake Jackson. Follow directions to Surfside. Go over the high bridge to the first traffic light (at Surfside, TX) and turn left. Follow 5 miles to Seahorse. Alternatively, traveling from Galveston, just follow Seawall Drive west to the San Luis Pass Bridge at the end of Galveston Island. Cross the bridge and simply follow the Bluewater Highway for nine miles.